I'm finding this blog is a lot harder to write when I don't really have any accomplishments to write about. The current state of my kitchen is too darn close to a "How Clean Is Your House" kitchen and I'm seeing dishes that I don't even recognize. I did empty the sink yesterday but didn't empty the dishwasher once I ran it, so I'm back to square one. 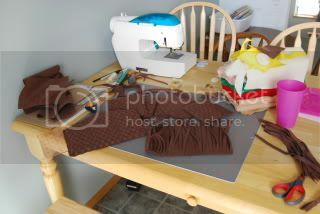 I've been doing a craft project that has consumed every second of my free time and every inch of my dining room table. The kids ate their macaroni chili lunch at the counter because there was no room at the table where they normally eat. Laundry? Mr. Wright decided it was time for me to finally wash some things, so I did one load and stopped. Good wife? I washed his clothes! What more could he want!? Good mom? We got out a few games that have been hidden (lost) since Christmas and they've been keeping busy since then. They also played outside today and I realized that I hate the smell of dirt on kids. Darn fresh air! We decided to forego all adult responsibilities and just veg out today too. Everything will still be there tomorrow!! 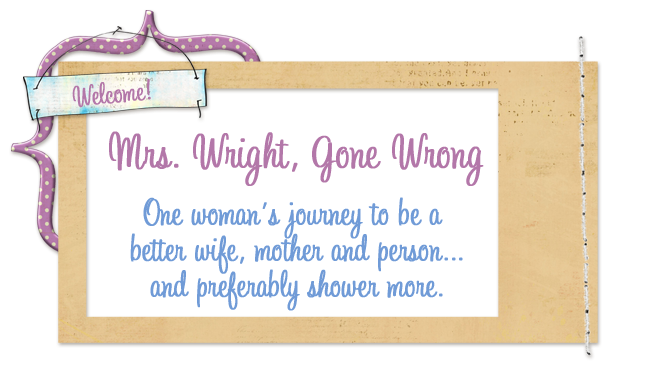 Mrs. Wright, I have to say you make me feel better about my slacker self :-) As long as I've showered and the bed is made, my day is complete! and what IS that fresh air smell? strangest thing ever..
My family calls it chili mac. My kids beg for it and think it is a treat. My poor kids. Awww, you can send 'em my way when they smell like dirt! Especially little boys...I love smelling Tristan's hair after he's been out running around LOL.